Born at Mather on 12 December 1915, son of Oliver and Ida Hunter, he grew up in Baldur. He was Senior Stick in the class of 1937 at Wesley College (now University of Winnipeg) and was President of UMSU in 1940. He graduated in law at the University of Manitoba in 1941. During the Second World War, he served on the Nanaimo and in the Naval Control Service Office in Halifax. He married Doris Moffat on 26 December 1942. After the war, the couple returned to Winnipeg where he started a 25-year career with the Great West Life Assurance Company. He was the only Canadian President of the Association of Life Insurance Council. He finished his working career with James Richardson and Sons in a senior role. 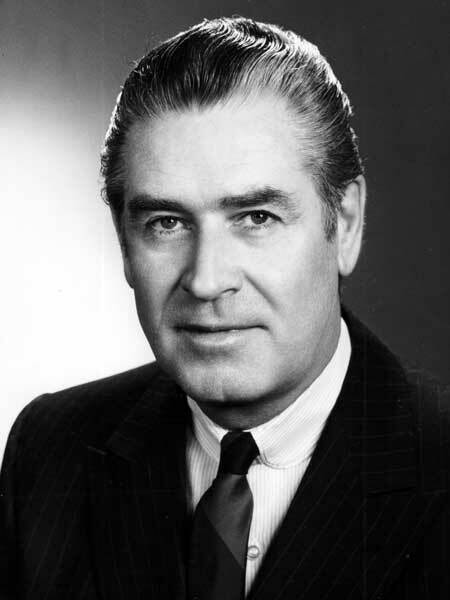 He was Chairman of the Manitoba Civil Service Commission from 1978 to 1980. He was the second Campaign Chairman of the United Way. He served as Chairman of the Board of Regents of United College and as Chancellor of the University of Winnipeg from 1978 to 1984. He was a founding member of the Manitoba Universities Grants Commission. To encourage students to attend college he set up scholarships at the University of Winnipeg and in the communities of Mather, Manitou, and Baldur. He was given an honorary doctorate by the University of Winnipeg in 1971. He spent leisure time golfing at St. Charles Country Club, curling at Deer Lodge and fishing at Clearwater Bay. He was a Member of the Governor Generals Curling Club. He also enjoyed hunting and was a strong supporter of Ducks Unlimited, serving as its Canadian President in 1973 and 1974, and Chairman of its Board from 1976 to 1976. He was a member of the Lakewood Country Club. His last honour was to be appointed as a member of the Order of Canada in 2000. He died at Winnipeg on 2 December 2001. Obituary, Winnipeg Free Press, 5 December 2001.